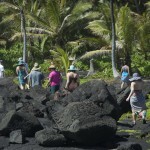 Sacred Lomi’s Lomi Lomi Retreat in Hawaii is held on the Big Island of Hawaii once a year. This is some information that may be helpful in planning your trip. It is usually best to arrive on the island of Hawaii for the Retreat a day or two early, just to ‘get there’ and get over jet lag before the retreat begins. Often participants stay for at least a few days after if they can, exploring other parts of the island or even other islands. The island of Hawaii is the largest of the Hawaiian islands and there is much to explore from Black Sand Beaches to Waipio Valley, the City of Refuge, the Volcano, Lava Tubes, Whales, Dolphins, Turtles, Steam vents and more. Although Kilauea was extremely active throughout 2018, it is now calmer and the volcanic activity is low. 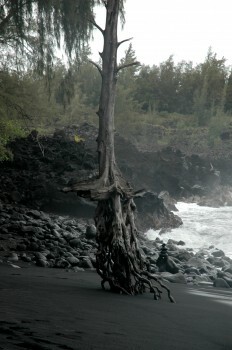 Our retreat is held near Hawi which is on the opposite side of the island from Kilauea. This Lomi Lomi Retreat in Hawaii is a life changing, heart-opening experience. You can arrive at Hawaii Island Retreat by 3pm on March 6th. The check in time at the retreat center is between 3:00pm and 4:30pm the day of the retreat. We will begin at 5pm in the Ocean Front Yoga Room aka Sacred Lomi Temple Space. We will have dinner about 6:30 that evening. We hope to see you there in February! On the last day of the workshop, we will finish our closing circle by noon and then have lunch until about 1:30. Flying to the island of Hawaii you have two choices of airports. The Kona Airport (KOA) has more flights, is much more convenient and is an easier drive to the Hawaii Island Retreat Center. Kona Airport (KOA) The Kona Airport is a one hour drive to the Retreat Center. Hawaiian Air – Calling from US – 800-367-5320 Hawaiian Air usually has a lot of open times and dates using Frequent Flyer Miles. If you use American Express Membership Rewards you can transfer them to Hawaiian. American Express has a good travel department and you can use your miles. The Hawaii Island Retreat is located near the small country village of Hawi, in the historic district of North Kohala on Hawaii’s Big Island. 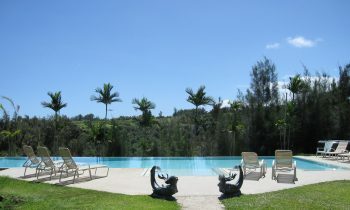 The retreat’s 50 acres of needled groves and valley trails include legendary council stones and native trees, planted generations ago by a Hawaiian Kahuna and his beloved wife.. Please print them out and bring them with you. We recommend arriving a day or two early and planning some time on the island after the workshop to integrate your experience before rushing back to ‘normal’ life.